An advisor friend shared two frightening withdrawal requests from retired clients that many investors would like to assume would never happen to them. The first was an $85,000 call for funds to cover rehab costs for an adult child. The lethal combination of depression and alcohol abuse contributed to suicidal thoughts, an inconsistent medication schedule, and a trail of hospital stays and doctor visits. The center treating this individual is among the few that address both mental health issues and addiction, which comes with a hefty price tag. In the second case, a retired couple was forced to liquidate investments to cover an attorney’s $50,000 retainer to fight their son’s murder charge. The young man was taken into custody after police arrived on the scene to find his girlfriend dead of an overdose from the drugs he was holding, reportedly delivered to her, and had used himself. Nobody goes into retirement expecting drug and alcohol abuse, mental illness, or criminal charges to eat a significant portion of their retirement savings. It can be a toxic blow with both personal and financial implications. From a pure dollars and cents perspective, the tax repercussions are downright horrifying. The client requesting the $85,000 withdrawal stands to net only between $60,000 and $65,000. Unfortunately, the financial pain doesn’t stop there. An IRA distribution is considered income, therefore a distribution of this size may undoubtedly bump them into a higher tax bracket and cause a portion of their Social Security benefits to be taxed. That’s a crushing blow for making sure a loved one gets the necessary care they need. The other clients, who are facing the prospects of a lengthy murder trial, face a similar set of financial headwinds. An IRA distribution of $50,000 quickly becomes $40,000 or less assuming standard tax withholdings. Once again, the full $50,000 will be considered income, which can quickly make Social Security benefits taxable. Circumstances such as this can make a retiree feel imprisoned by the rules that guard their tax-deferred savings. A secondary challenge for both advisor and client is the inevitable emotional toll. My advisor friend suggested that in both cases the clients consider accessing other funding sources first, including their home equity. Unfortunately, in neither case were these viable options. The reality is, many clients facing life-altering dynamics tend to shut down, wall themselves up, and seek the quickest financial solution no matter what the consequences. Since most people allocate the largest portion of their retirement savings toward tax-deferred accounts, the government is the beneficiary of your heartache. The problem is, once withdrawn the money can’t be put back into the IRA after 60 days. If the plan is to stay retired, they also lose the option to rebuild these accounts through additional contributions. Furthermore, if they aren’t aware of tax liabilities or the impact withdrawals may have on their Social Security benefits they can end up in a vicious cycle of taking additional distributions simply to cover taxes and penalties. It’s a heartbreaking set of circumstances no one wants to face. Yet it’s becoming more and more common as instances of drug and alcohol abuse continue to rise, and as more states pass laws to convict those who deliver drugs that result in an overdose. From a planning perspective it sends a clear message. Investors with a family history of mental illness and/or addiction may need to consider diversifying their savings beyond the traditional tax-deferred vehicles such as the 401(k), 403(b) or IRA. Allocating all or most of one’s retirement savings to these options alone can have adverse consequences when a family tragedy occurs. That makes after-tax and taxable saving plans, including the Roth IRA, Roth 401(k), traditional brokerage account, or even a basic savings account, essential considerations. Having access to one or more of these resources can provide crucial support when a family is in a pinch, potentially saving them thousands of dollars. No one expects for extreme situations like this to come up during their retirement, but they are very real possibilities to consider. 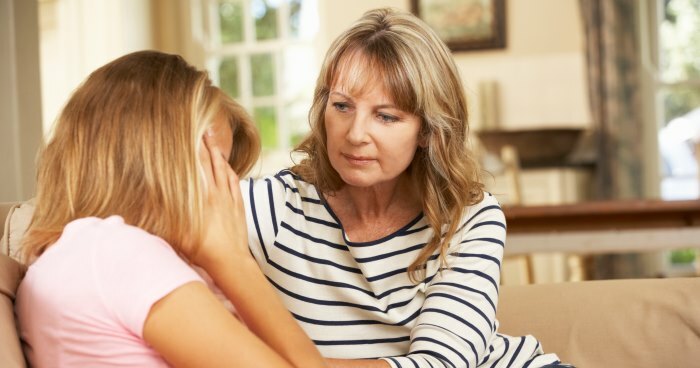 While all the preparation in the world won’t totally eliminate the emotional toll of something like this, by being more aware of the possibility, and the potential financial ramifications, families can develop retirement saving plans that reduce or minimize the overall costs and long-term effects of a tragic family situation. Do you have a financial “What-if” worry or concern you’d like to be proactive about? Contact us today and put our knowledge and experience to work for you. There is no cost for an initial meeting where we can get to know more about you and can discuss next steps for dealing with unexpected events in retirement. Are you feeling overwhelmed, confused or burdened by your various retirement savings accounts? Looking for someone to help you get things organized and on a track to help you achieve your financial goals? Contact us today and put our knowledge and experience to work for you. There is no cost for an initial meeting where we can get to know more about you and discuss next steps to taming your retirement savings hodgepodge. Click here to schedule or meeting or call (423) 247-1152 to request more information.